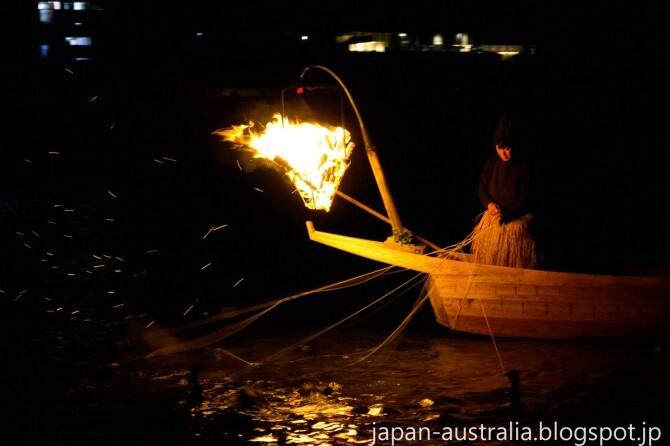 Ukai or Cormorant Fishing has taken place along the famous Nagara River in Gifu for more than 1300 years. 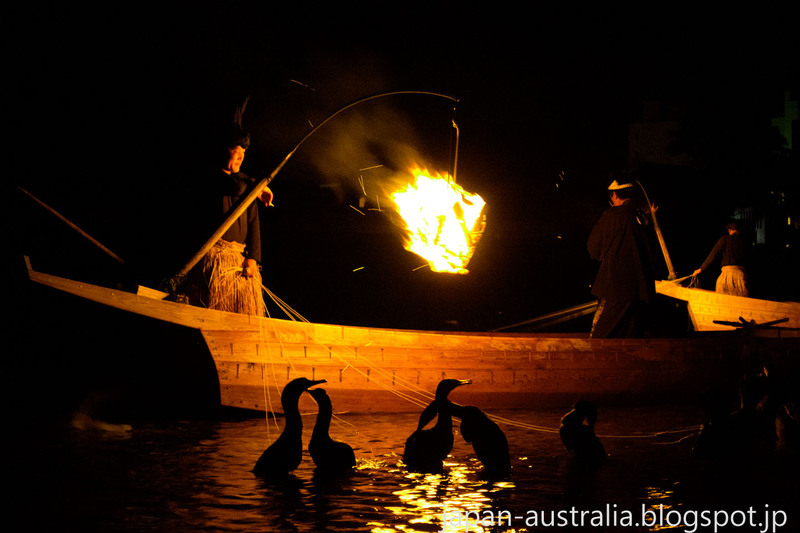 It is a traditional fishing method that uses trained cormorants to catch river fish. The samurai warlord Oda Nobunaga took the ukai fisherman under his patronage and created the official position and title of usho (Cormorant Fishing Master). The Shogun Tokugawa Ieyasu, enjoyed watching ukai when he visited Gifu City and also gave his patronage and protection to the art. 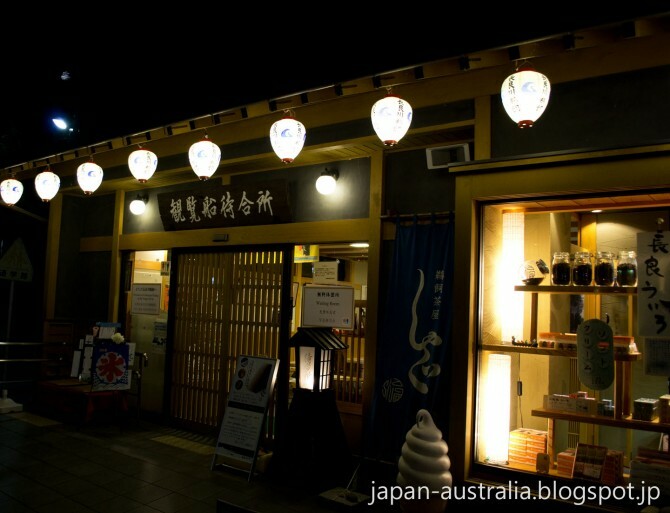 He was so fond of the sweetfish he had it delivered to Edo Castle in modern day Tokyo. Today the fishing masters are the official fisherman of the emperor of Japan. Cormorant Fishing in Gifu is a major summer attraction in Japan with the season running from May 11 to October 15. The season has just finished for another year, but I managed to head down to the river bank and see this spectacular event. We started off at the Cormorant Fishing Viewing Boat Office, where you can check in if you are going on one of the viewing boats. There is also an Ukai Boat Waiting Area where you can see a video of the famous ukai and pick up a souvenir from the gift shop. The boats are boarded around 6:30 pm and will head off one by one to cruise down to the watching point. They anchor by the side of the river and wait for the ukai to start. 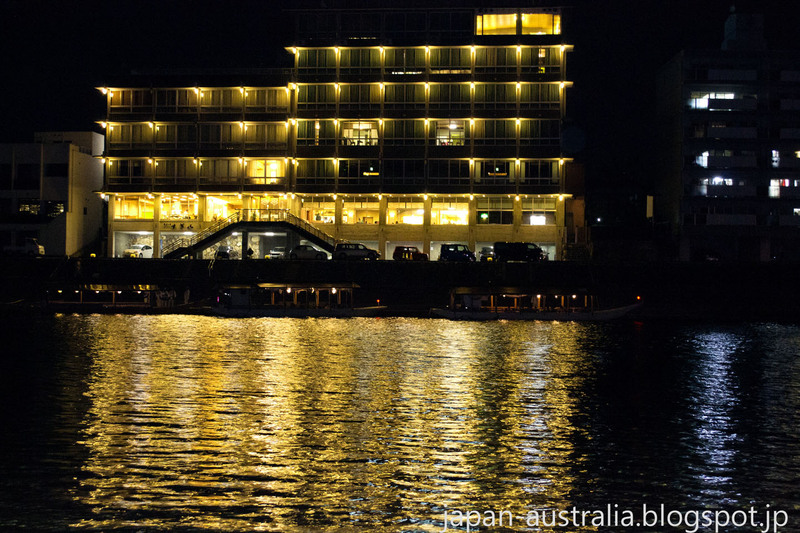 While you wait you can enjoy the beautiful view of the river and mountains while enjoying a Japanese bento dinner and drinks. Typically ukai will start at around 7:45 pm. The start is signaled by a small fireworks display. The fishing boats head back downstream and you can see them approaching with their flames in the distant. They pass the viewing boats which are lined up along the river before making a u-turn and heading back towards the viewing boats. They end up parking on the shore before returning home. Ukai usually ends around 8:00 pm and most people get off the boat by around 8:30 pm. The best place to view ukai from the river bank is on the Gifu Park side of the river opposite Usyounoie Sugiyama. I recommend getting there for around 7:30 pm. The fishing boats will pass the viewing boats and then turn back and park on the shore. This means you can get up close and personal with them which is quite an experience. Thanks for the information. I was wondering if it is worth to spend the money to go on a viewing boat or if I can see basically the same thing from the shore? Any advice on that?